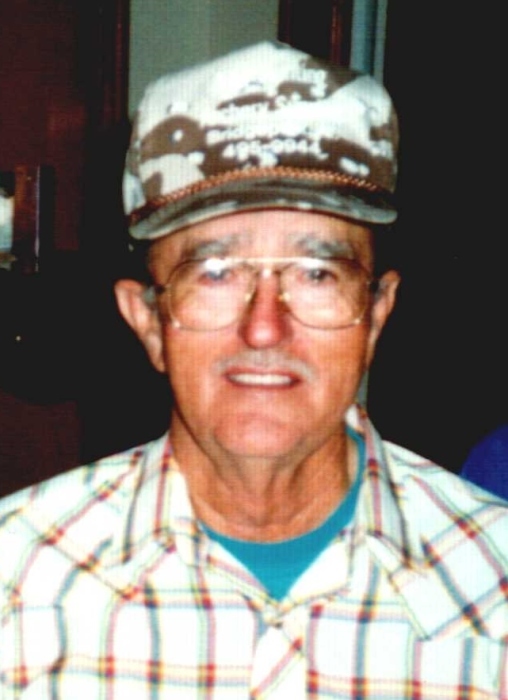 James Taylor “J.T.” Collins (“Snorter”), 86, died peacefully at his home in Bridgeport, AL, Wednesday, February 6, 2019, after an extended illness. Visitation will be held from 4-9 pm, Friday, February 8, 2019, and noon-1:45 pm, Saturday, February 9, 2019, at Valley Funeral Home, Stevenson, AL. Funeral service will be held at 2 pm Saturday, February 9, 2019, at the funeral home with interment to follow in Rocky Springs Cemetery, Bridgeport, AL, with Brother Danny Rader officiating. Mr. Collins was born on January 13, 1933, in Bridgeport, AL, to James Carl and Mattie Belle Taylor Collins. He was a US Army veteran who bravely and proudly served as a medic in the Korean War. He was a retired boilermaker, and a loving husband, father and grandfather. An avid fisherman, Mr. Collins rarely missed a day on the water. Mr. Collins is survived by his daughter Cindy (Sam) Foster, of Stevenson, sons Kevin (Patti) Collins, of North Charleston, SC, and Doug Collins, of Bridgeport, and a host of grandchildren, great-grandchildren and a great-great-grandchild; brother in law, Buddy Moates. He was preceded in death by his wife of 58 years Betty Thomason Collins, as well as siblings Mary Lou Chapman, JoAnn Motes and Carlene Shrader and cousin Sarah Jane Williams (raised as a sister) J.T. “Snorter” Collins was a lifelong member of the Bridgeport community. He was well loved and will be greatly missed by those who knew him best.